Although every spring here in the Midwest feels as though it is the beginning of something magical and new, this year seeing the snow melt and the flower buds start to push through is somehow extra special. You spend that many days with temperatures below zero and see if you feel any different! So, while I'm typically ready to try to re-energize by giving the house a good cleaning and brightening myself up with new beauty essentials, this spring it's even easier thanks to the large number of award-winning products available from Procter & Gamble. From beauty and health to home and beyond, P&G's brands make every day just a little better for billions of consumers around the world. But clearly I'm not the only one to think so, as P&G brands have received awards and recognitions year after year from leading magazines. With endorsements like those, there's just no doubt that P&G's beauty, grooming and home care brands are just what I need for all occasions this spring... made even more easy with their recently-dubbed collection of P&G Best For Me items. The award-winning P&G brands being celebrated this spring include Cover Girl, Clairol, Pantene, Secret, Venus (beauty), Crest, Gillette, Head & Shoulders, Old Spice (grooming) and Bounty, Febreze, Mr. Clean, Swiffer and Tide (home care). Collectively, these brands have won hundreds of awards over the last several years! Therefore, the P&G Best For Me collection makes it easy to find the best products for everyday as well as all of your special occasions. No matter if you're trying to get the look that works for you, help the man in your life better himself or blast away the dirt and grime of winter from your home, P&G's products can help, no matter what. Around here, I love being able to freshen up my springtime beauty essentials and easily prepare for a Girls' Night Out or a Date Night with products such as CoverGirl Line Exact Liquid Liner, CoverGirl Outlast Stay Brilliant Nail Gloss, CoverGirl FlamedOut Mascara, Crest 3D White Strips and Secret Clinical Strength Light & Fresh Scent. 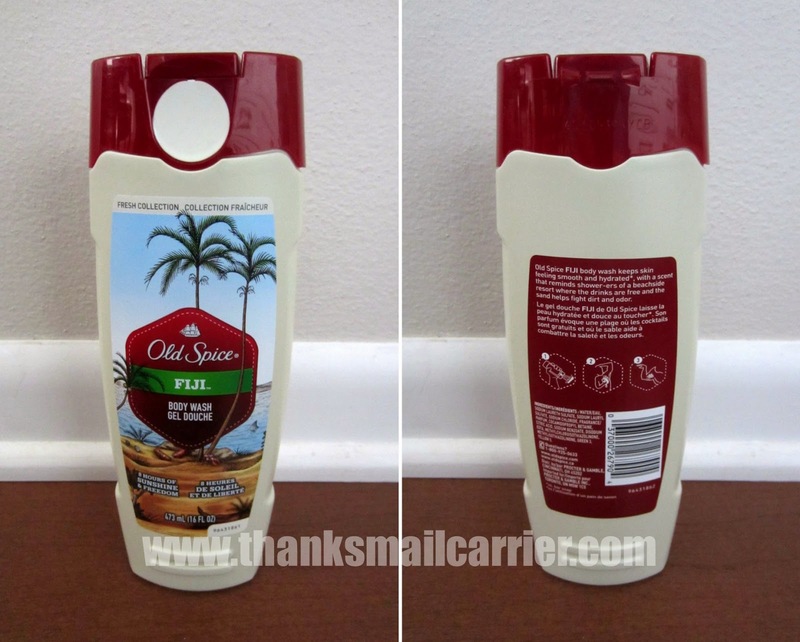 As for my husband, he is typically a non-scented guy, but I'm really liking the light, fresh, not-overpowering aroma of the Old Spice Fiji Body Wash. Nothing wrong with having your man smell nice for Date Night too, right? Finally, as much as I would like to think that the arrival of spring will mean more nights out with my friends or husband, the truth is that at least my house will (hopefully) end up cleaner. I try to never tackle too many Spring Cleaning areas at once (overwhelming!) and to put my kids to work as best as I can. They're still at the age where they think it's a treat to vacuum or mop, so I'm going to continue to take full advantage of that while I can! Plus, while they're occupied with their own chores, I love being able to go around the house with a Mr. Clean Magic Eraser Select-A-Size and make all sorts of smudges, smears, marks and more instantly disappear! What P&G products can you not live without? 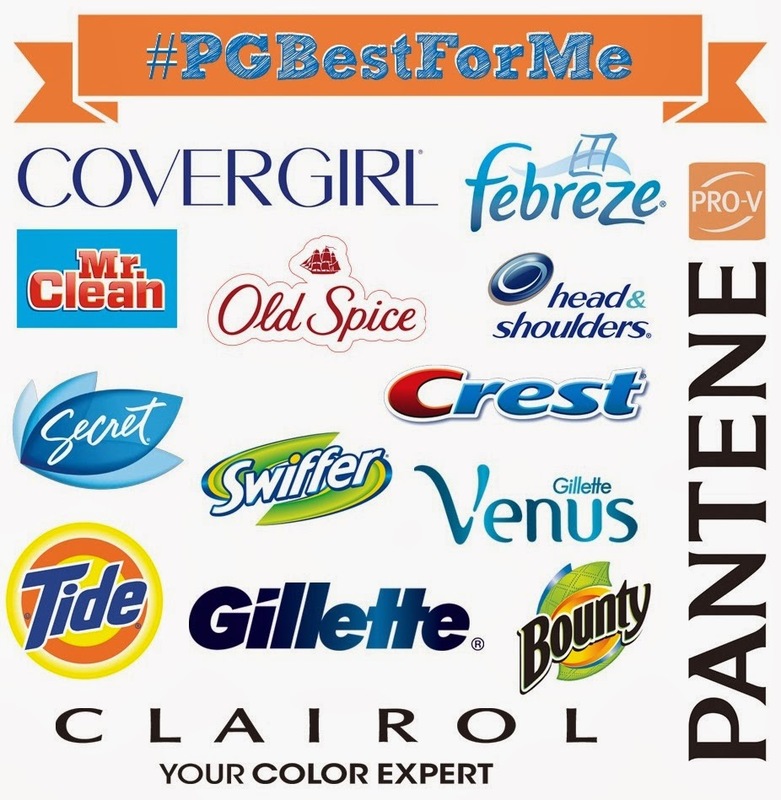 Be sure to check out all of the P&G Best For Me winners and share your thoughts at #PGBestForMe! *Prize Pack includes CoverGirl Line Exact Liquid Liner, CoverGirl Outlast Stay Brilliant Nail Gloss, CoverGirl FlamedOut Mascara, Crest 3D White Strips, Secret Clinical Strength Light & Fresh Scent Deodorant, Old Spice Fiji Body Wash and Mr. Clean Magic Eraser Select-A-Size. 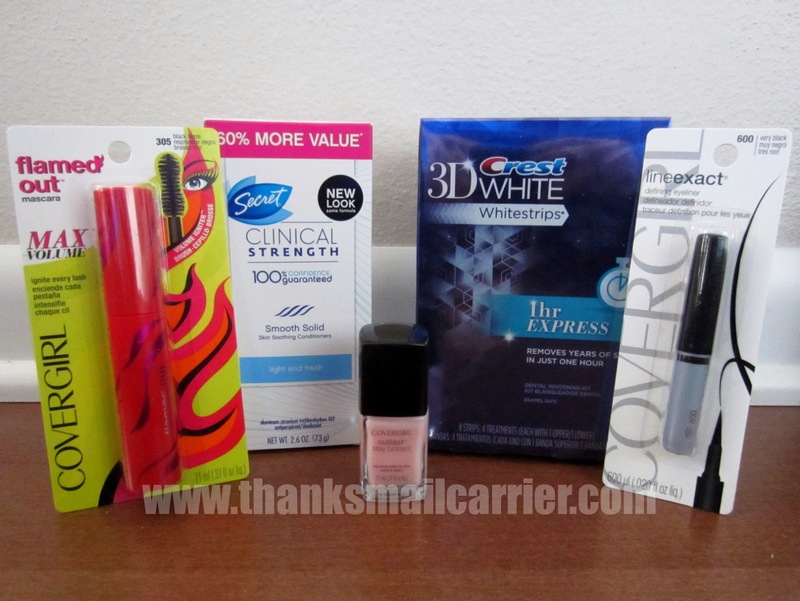 A big thank you to P&G and SheSpeaks for sponsoring this post and providing a prize pack for me to review as well as for one lucky giveaway winner. The opinions shared are my own and honest and if you really need to see more, click here to see how I roll. A must-have P&G product for me would be Tide. I won't use any other laundry soap. It's the best! I am a Crest 3D White fan myself. I love my Mr. Clean Magic Erasers! I'm a huge fan of the magic eraser. It's great for cleaning spots on walls and counters. Definitely Dawn dishsoap! I've used it all my life. Definitely Mr. Clean Magic Erasers. They are miracle cleaners. Olay Regenerist Micro-Sculpting Face Cream is one of my favorite products. We use Bounty Towels always. It would be Unstoppables. I love those things! The Tide detergent to wash clothes! The Dawn dish soap for sure. I have two P&G products (or brands) that are must haves for me - Crest toothpaste & mouthwashes (any variety) and CoverGirl mascara - love them all! I love Cascade for my dishwasher. I would have to say the must have product would be the Mr.Clean magic eraser. These work great in the bathroom and it's the only thing that really works to get that soap scum stuff off. I LOVE my swiffer and would be lost without it. For my household we just love the Febreze candles. LUVS diapers for sure! Great product! I like the swiffer line. Tide is a must have at our hosue!!! I love the Crest 3D white because my teeth are kind of yellow. Crest is the only toothpaste in our house! Cover Girl makeup, especially concealer. Pampers diapers are my favorite product by Proctor & Gamble. One of my must-have P&G products is Secret deodorant! I use a lot of P&G products around my home, but my favorite is probably the Mr. Clean Magic Eraser. I've used it on everything from stained countertops to pans I would have had to throw out otherwise. I've always cut them into two or three pieces, so I'm happy to see that they've come out with a select-a-size version to save me the trouble. I must have Bounty paper towels. I must have my Tide and tide to go. We like the magic erasers. Cascade is my favorite product. My favorite must have P&G product is Tide! Wouldn't think of doing laundry in sny other product. My must have product is the Cascade I love this stuff. With three grandsons I have to have Mr. Clean Magic Eraser. They are fantastic at removing little fingerprints. Tide is a must have in my house! I can't go anywhere without my Ice Blue Secret, or else everyone moves away. Thank you Proctor Gamble for making so many I have to have products. I love so many of their products, but my new go-to P&G product is the Mr. Clean magic eraser. My oldest daughter recently moved out and left her shower with so much soap scum that no spray would work and I had even taken to trying to scrape it off with a little ice scraper. I tried a magic eraser and was amazed at just how much soap scum it removed with so little work. Tide and Pampers are my must haves. One of our must-have items are Pampers diapers. We have a one year old, and these are great diapers. My must have is Bounty paper towels! The pampers Natural baby wipes are my must have! The magic erasers for sure! I used to have a job housecleaning and it was the first time I ever tried them, I never clean without them now! Covergirl mascara is my must have p&g product! Hi! Oh where do I start? lol My must-have P&G products would be Dawn, Tide, Puffs, Olay, Crest, Downey, and Iams (my cat won't eat anything else). Thank-you! I like Max factor mascara. 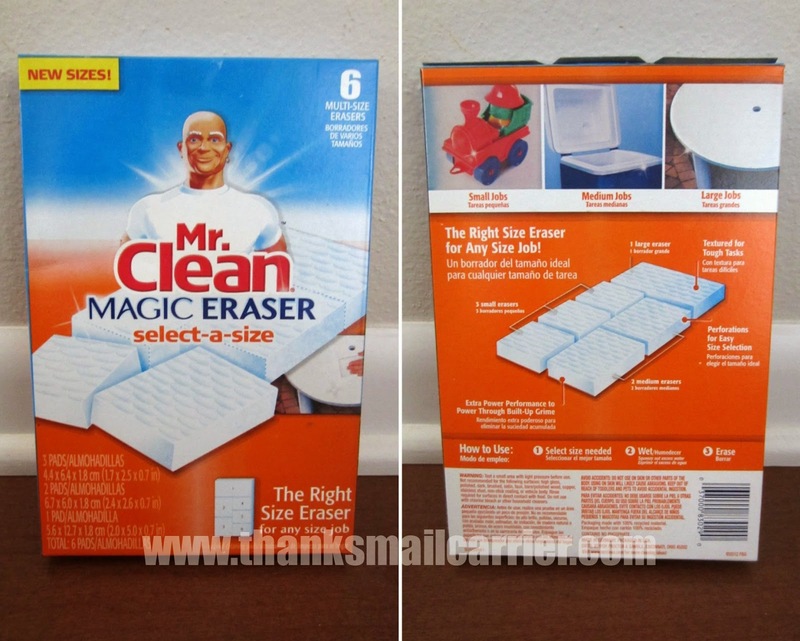 Mr Clean Magic Erasers are a MUST HAVE in my house! CoverGirl products are a must have for me! I love crest 3d toothpaste. It is amazing. My must have item is Mr. Clean Erasers. Leave a comment on this blog post telling me one of your must-have P&G products. Tide is one of my must have P & G products. I really love magic erasers. I use them frequently as I have a toddler who is messy! Our favorite P&G product is Duracell batteries because they last a long time in my daughter's toys. You made the question HARD by asking for only ONE! Wow.. my list of P & G products is very long.. but okay if I have to choose one, it would be Dawn. I do not like ANY other dish detergent like I like Dawn! I use a lot of paper towels for sure. Mr. Clean Magic erasers and Cascade are my must haves! I like Pantene hair care products. Tide Pods are a must have. I love using Tide detergent. Dawn is the only dish detergent I use. Our must have P&G product is Tide! I must have Tide. It out clean all other laundry detergents. Tide cleans and removes stains. 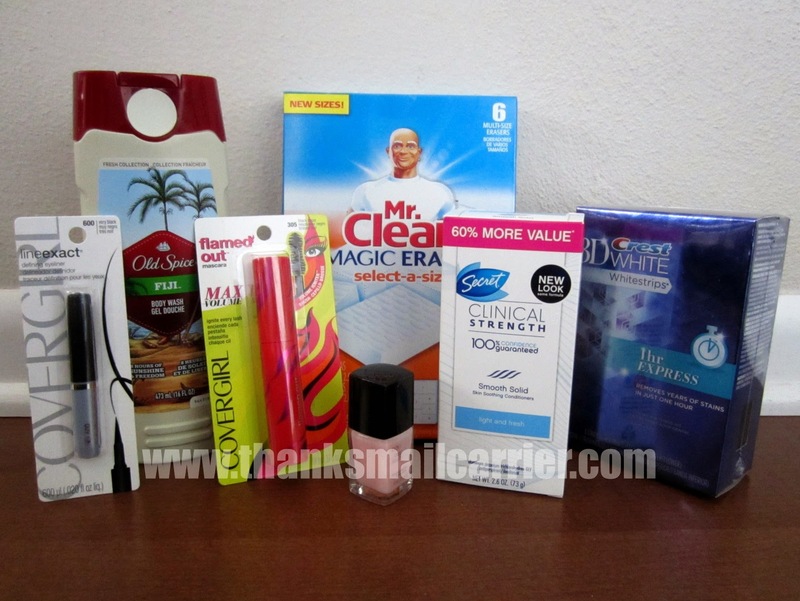 I love secret clinical deodorant & venus olay razors! Love the Magic Eraser! Cleans just about everything. My must have P&G product is Duracell batteries. We use way to many of them in our household. Magice Eraser...It is the only thing that will clean my bathtub,it removes everything!! !Love it!!! Swiffer dusters are my must have item. I must have my Dawn dishwashing liquid. I love their Crest Whitestrips. The Magic Erasers!!! I used a magic eraser to get black permanent marker off of a white wall. It IS magic. I can not live without Dawn dishwashing Liquid! I must have DAWN Liquid Dish Detergent, because cuts grease. My venus razor is a must! My must have is the Swiffer duster....it has made dusting so much easier. A couple of the products I use are Fixodent, Gain and Dawn dish soap. After a bout with diverticulitis, I am taking Align. I can't live without Tide Pods! Thank you for the wonderful giveaway. I love Herbal Essences shampoo! I use Herbal Essences body wash, and it smells so fruity and wonderful. I have to have my Olay Moisturizer! I would love the Bounty Towels. My choice is the magic eraser. the cover girl mascara is what grabbed my attention. My son wears Pampers Cruisers so that's our must-have! I think its everyone's must have.....Toilet Paper! lol. I love Gain. I use the original powder on all of my clothes. I must have Tide with Febreeze sport. I love their Charmin products! I'm in love with their Swiffer products! I love cover girl mascara and magic erase pads! Bounty towels & Tide are 2 of my favorite products! One of my favorite P&G products is Gain detergent. One of the must have P&G products is Tide. I love Mr. Eraser. It really works. Well P&G basically owns everything, so there are plenty to choose from. I have really pale skin, so I can't live without my Crest teeth whistening strips - people comment on yellowing if I let them go, because they look darker in comparison to my skin than on other people. I have to say my mascara. I like Tide HE Liquid. Gain laundry detergent is my must have item as well as herbal essences. They have so many great products it's hard to choose one. Though I always have Febreeze on hand. I can't live without my TP, It's gotta be sof TP to. I am a loyal Tide user. Mr Clean all the way! Magic Clean Erasers...they make cleaning so easy! I think I would be lost without my cleaning products from Mr. Clean to Tide. Love all of P & G products can't clean without them. Wouldn't want to. I use and recommend Cascade Dish Washer tabs. I ALWAYS have Prilosec on hand for the best heartburn relief around! Tide Laundry Detergent and Duracell Batteries are my favorite products. I must have my Magic Erasers. They are the best cleaning product ever invented! I like the Mr Clean magic erasers. Magic Erasers are a must here! Can't live without Dawn dishshoap and Tide! We love Tide for work clothes. Dawn dish soap and Tide Boost pods. One of must have P & G products is Crest White Strips. Definitely Dawn Hand Renewal dish soap! I have pretty sensitive skin and it's great when I'm not wearing my latex-free dish gloves. :)Of course, I also love Secret, Crest 3D White Toothpaste, the list could go on and on... Love P&G! I like febreze! It's great for the dog's bed. I love the Olay sensitive skin moisturizer with SPF. I have to have my Tide. Total Effects Daily Face Moisturizer. It actually makes my pores seem smaller. My must-have P&G product is Dawn dishwashing liquid. i love secret clinical strength! Definitely cover girl mascara. Thanks for hosting! We love and use so many P & G products! To just pick 2, I'll say we like Crest and Secret. the magic eraser is a lifesaver - it's the only thing that makes the walls in our house look toddler free!